Quel che mi resta da farvi capire è se conviene o meno investire in questo modello. Credo di sì, soprattutto se avete un portatile di due o tre anni fa. Può sentirsi esonerato solo chi ha comprato XPS 13 di fine 2017, il modello con Kaby Lake-R, privo delle primizie energetiche del nuovo ma non al punto da giustificare un'altra spesa superiore ai 1000 euro. Dell XPS 13 9370 è più veloce, più efficiente, più compatto e più predisposto al collegamento di periferiche esterne; si può ancora migliorare, ma quel che riesce a fare con i chip Intel Quad Core non sarà scontato da trovare altrove. Finalmente un'edizione che punta al miglioramento di tutta la categoria Windows. Ed è una buona notizia in previsione del convertibile da 15 pollici chiamato XPS 15 2-in-1. Avanti così. In conclusion, the Dell XPS 9370 is one of the best ultra-portables you can get these days, but is not necessarily the update I’ve been expecting for this iconic series, and I feel Dell has to step up their game with the next iteration if they want to keep the lead in the class, as the competition gets closer by the day. The Dell XPS 9370 is one of the best ultra-portables you can get these days, even if not necessarily the update I've been expecting as a long-term user of an older XPS 13. Dell focused on making it smaller and lighter, while updating the screens, adding a few extra features and improving aspects that lead to slightly tweaked performance and thermals, but at the same time the IO and battery took a hit, and some of the QC and practicality quirks people have been complaining about on the previous XPS 13s were not addressed. Read on for the in-depth analysis. Dell has a solid history of producing premium laptops under its XPS banner. The little brother, XPS 13, had a makeover at the turn of the year and now features 8th Gen quad-core, octo-thread processors from Intel. 100% Dell XPS 13 review: The best ultraportable ever? The Dell XPS 13 is a lot thinner than the last version, and has a neat new fingerprint scanner built into the power button. Even the entry-level display spec is great, while every aspect of the laptop's build is great quality. 85% Dell XPS 13 (2018) review: Still one of the best Windows notebooks? Yes, the new XPS 13 lives up to the reputation of the model that it replaces by being a very fine Windows notebook. There’s a lot to like about the notebook, but let’s get the bad stuff out of the way first. 84% Dell XPS 13 9370 Review: Dell’s Lucky Thirteen! 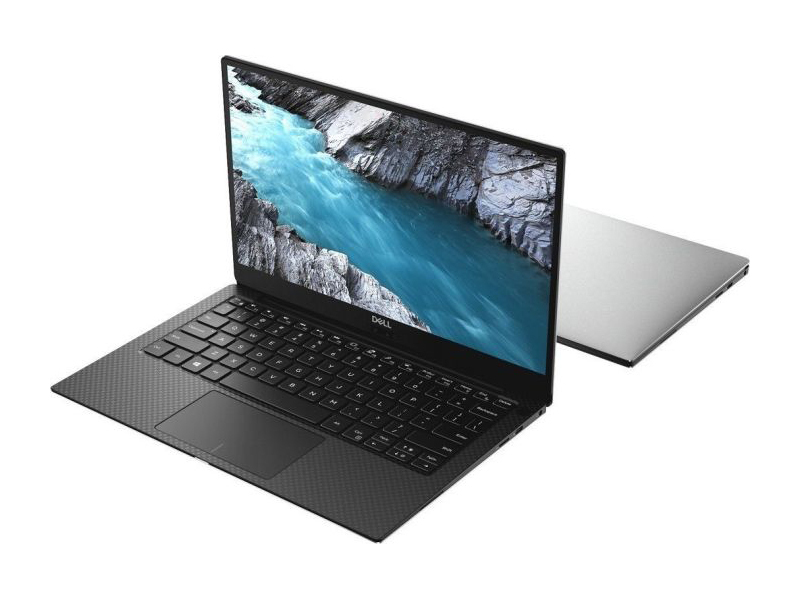 At a starting price of Rs 97,770, the Dell XPS 13 is certainly on par with the competition and if you live with its downsides like the MicroSD card slot, an average battery life and no touchscreen on the entry-level models, it’s certainly worth purchasing. The XPS 13 was already a superb laptop. With a 4K screen, a new design and improved performance it’s superb-er. There is a sole leader in the business devices segment and that’s Apple. A lot of manufacturers are trying to copy its design. Yes – some of them have achieved minor success, offering similar specs (and design) for a far lower price. The notebook we talked about today is a successor to the original “MacBook killer” – XPS 13 (9360). Dell channeled their effort and resources at something new – something that’s going to stand out. And they clearly made it. The neat and stylish design hides a device of impressive performance and beautiful screen. With a new design that catches up to the competition, Dell's XPS 13 remains one of the best all-around 13-inch laptops, but everyone's biggest gripe remains unchanged. Dell has undoubtedly done it again. In directly addressing the concerns of users, Dell has refined its XPS 13 laptop further than perhaps ever before. So much so that we’re inclined to give this laptop our Best in Class award all over again. The Dell XPS 13 is one of the best, most consistent portable Windows laptops in the world. There are no gimmicks, no flimsy parts. Every element is top-quality. 91% Das neue Dell XPS 13 9370 im Test, kleiner, schneller, besser? 90.85%: Non ci sono modelli che hanno ottenuto un punteggio migliore. I punteggi più alti sono comunque inferiori a questo.